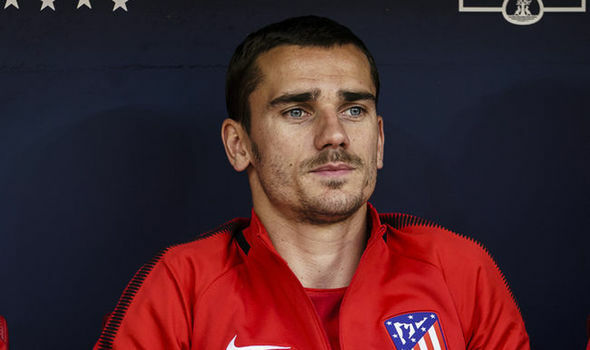 One of Spanish football's most gripping sagas in recent times is finally over, with Atletico Madrid and France star forward Antoine Griezmann confirming where he will be plying his trade next season. The 27-year old, who scored the winning goal against Marseille in the Europa League final last month, announced his decision in a documentary broadcast programme called "The Decision", made by Spanish network Movistar Plus. Griezmann looked likely to be swayed by ongoing interest from Barca, with the La Liga champions' president Josep Maria Bartomeu in May revealing he had spoken with the player's agent. Multiple people within Griezmann's inner circle told ESPN FC later on Tuesday that they want him to stay at Atletico, and all signs point to him remaining in Madrid. There's a midweek clash as we travel to Watford on 4 December before facing Chelsea at Stamford Bridge the following weekend (8 December ). "They are making an effort to bring top players. This is going to make a difference". However, Griezmann, who is now on World Cup duty with France, made the announcement to stay with Atletico on Spanish television outlet Movistar+. He then Tweeted 'My fans, my team, MY HOME!' to his Atletico fans. He added: "I feel there are things to do with Atletico. I will not regret it".